I am Ben , a 29 year old with a great passion for music. I play and teach guitar to a high standard and I also perform and tour with a successful functions band called The Zoots. I am a registered tutor with the R.G.T and have been teaching guitar for over 10 years to students of varying standards. 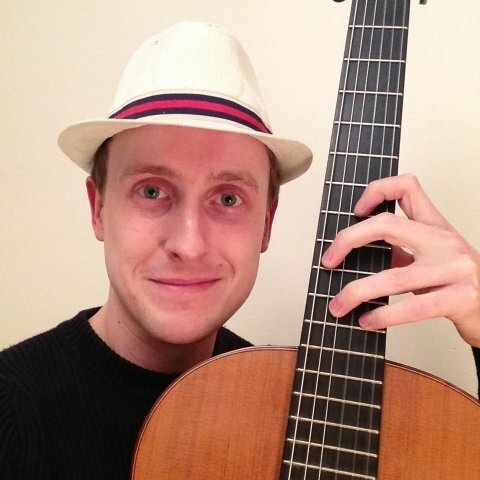 I have taken students right up to achieving grade 8 in both Electric and Classical guitar. In my experience as both a teacher and musician I've found that the key to progressing my students is finding out what interests and excites them about music. I think it's so important to feel passionate about what you are doing in order to make true progress. My teaching caters for the individual and my lessons are very much based on what inspires and interests my students. BenFrom Alexander (5/5): Ben was been working with my son, Alexander for a couple of months. He is a charming young man and my son with Down syndrome is really making progress.